A.L.M. Consulting Engineers has extensive mechanical design experience for Multi-Family Projects. A.L.M. Consulting Engineers has provided mechanical designs for over 1300 living units! 4 apartment buildings, each building four stories. Total of 252 apartments. One Multi-Purpose Building and one Leasing Office Building. One 70,000 square feet parking garage below grade. Each apartment is heated and cooled by split system heat pumps. The parking garage requires over 95,000 C.F.M. of exhaust air. This is an existing 200 unit apartment complex with a new leasing office. A.L.M. Consulting Engineers, Inc. provided plans to retrofit the heating and air conditioning systems for all of the apartments and new Leasing Office. A.L.M. Consulting Engineers, Inc. also provided plumbing plans to retrofit all of the apartments with washers and dryers. Two time-share buildings, each building three stories. There are 130 living units which total approximately 73,000 ft2. Each unit is being heated and cooled by direct expansion split system heat pumps. 21 buildings, 160 unit apartment complex with Multi-Purpose Building. Multi-Purpose Building includes Offices, Recreation Room, Kitchen and Public Restrooms. 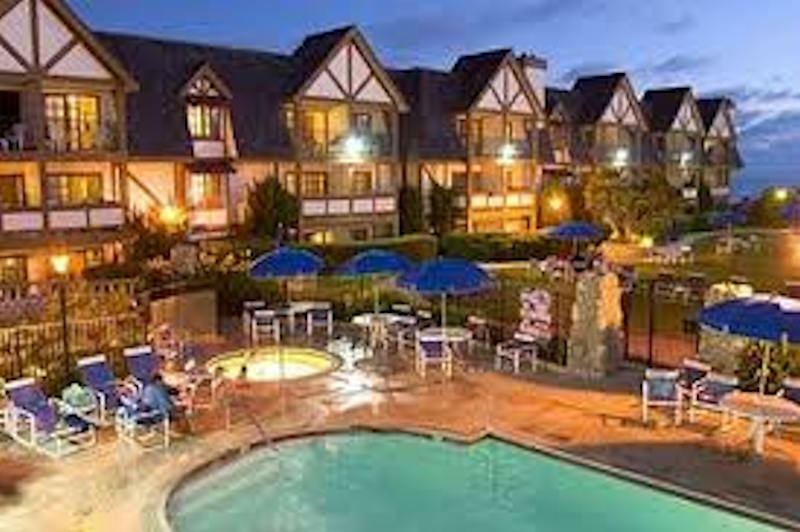 Each apartment is heated by a forced air natural gas furnace and cooled with Direct Expansion Cooling Systems. Three buildings (total 126 living units) with a common Quarter Deck. Each building is three stories with 63 Living Units, Lounge, Laundry Room, and Kitchen on each floor. Each of the Living Units and Lounge are heated and cooled by through the wall heat pumps. Kitchens and Quarter Deck are heated and cooled by roof top package gas/electric units. Building 619 is four stories with a total of 285 Living Units and Laundry Rooms on each floor. Building 625 is four stories with a total of 332 Living Units and Laundry rooms on each floor. A.L.M. Consulting Engineers engineered site gas piping and building gas piping systems for these buildings to accommodate a new Laundry Room for each floor. This Facility is a 12 story 143,000 ft2 Retirement Home located in Downtown, San Diego. The Retirement Home consists of Individual Apartments, Offices, Multi-Purpose Room, Dance Hall, Recreation Room, and Kitchen. A.L.M. 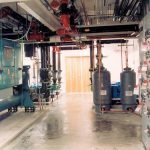 Consulting Engineers worked with a Mechanical Contractor to provide a new heating and domestic hot water system for the facility. The new heating and domestic hot water system is safer and more efficient than the old system. This project consists of 12 three-story buildings located in Downtown, San Diego. A.L.M. Consulting Engineers engineered the plumbing for these homes including the site plumbing. This is a two story building with 32 living units and common areas. A.L.M. Consulting Engineers engineered the mechanical and plumbing systems for this facility. This is a three story building with 36 living units and common areas. A.L.M. Consulting Engineers engineered the mechanical and plumbing systems for this facility.